You know what they say about a black cat crossing your path, but what do they say about a black cat staring ominously at you? It certainly can't mean good luck. When you're decorating your house for the oncoming spooky season this cat will be that unsettling detail that puts people in the Halloween state of mind. 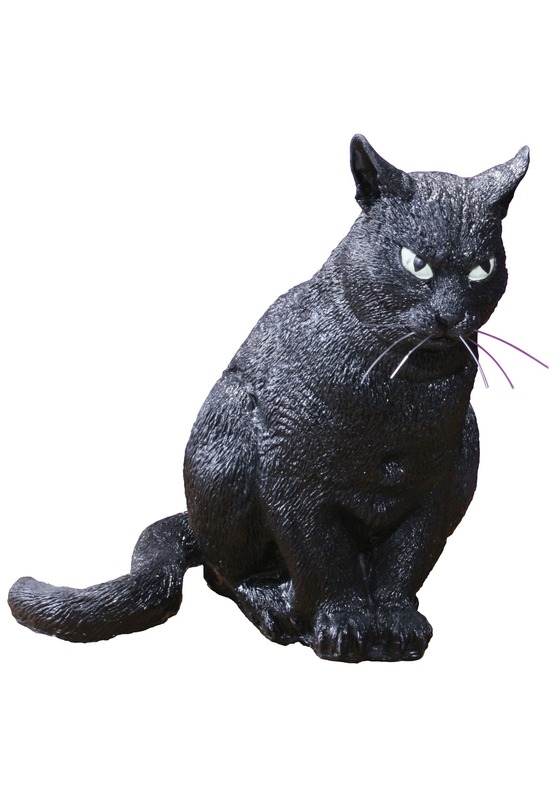 Whether you're a witch looking for a familiar or you're looking for a dark companion for you feline housemates, you'll find this statue fits the bill. It's refreshing to see a cat that's less scaredy and more scary. This kitty isn't going to flinch any time soon, in comparison to every other cat ever who jumps two feet high for literally no good reason. Who knows what this cat is staring at? It could be checking out an unseen spirit in the corner or it could just be plotting your demise. Hey! That's one thing this stone cold kitten probably has in common with your seemingly innocent Fluffy. So watch your back, you never know what this cat's going to drag in.